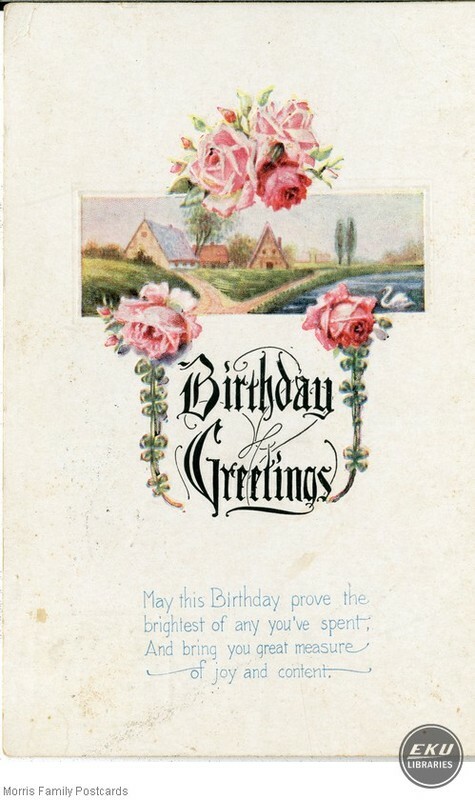 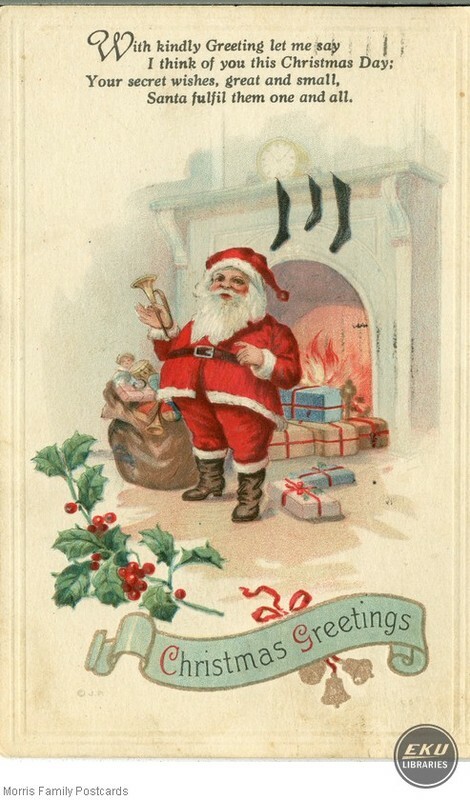 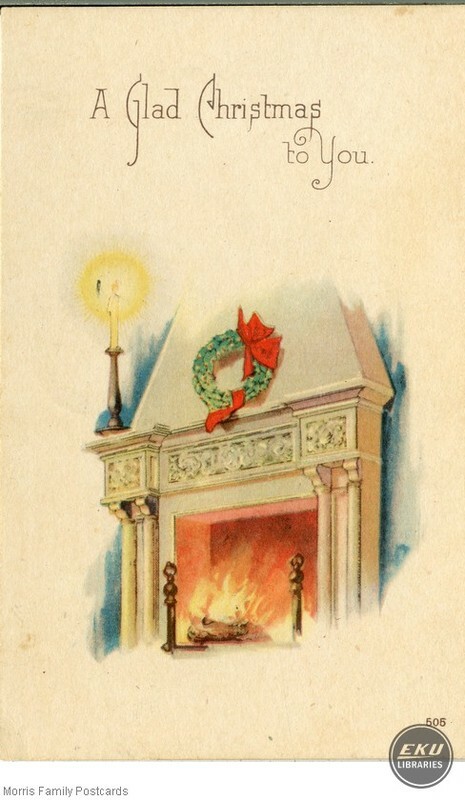 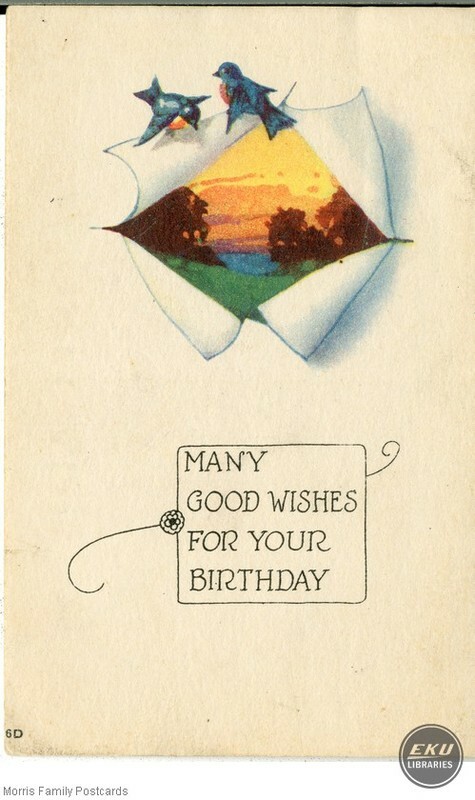 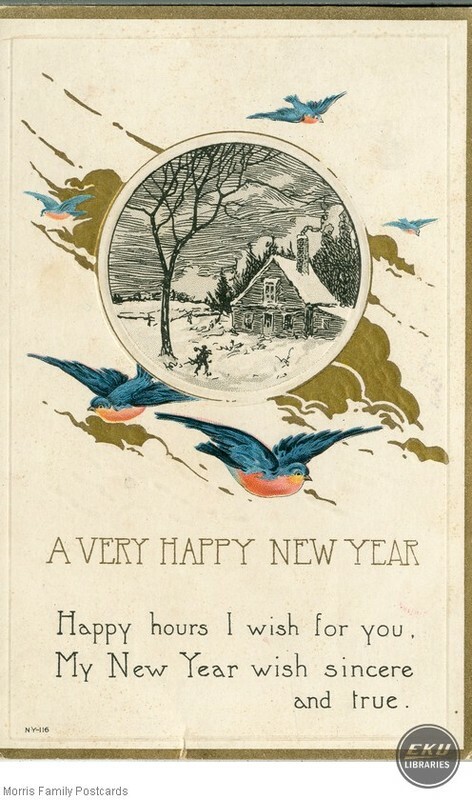 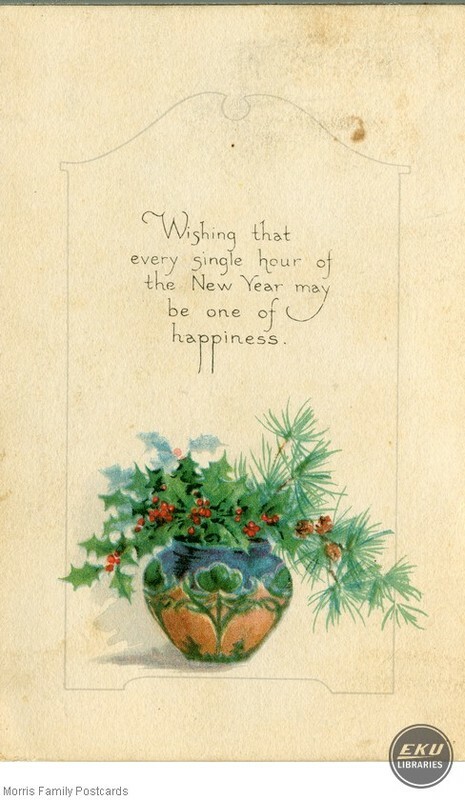 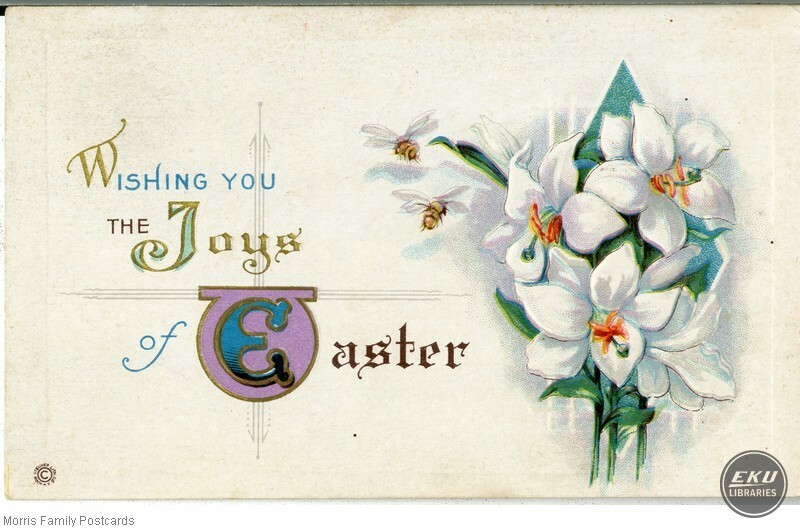 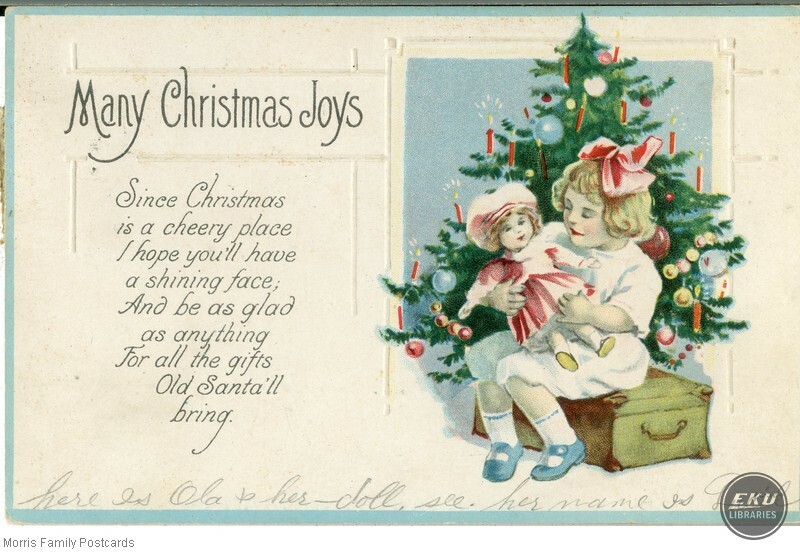 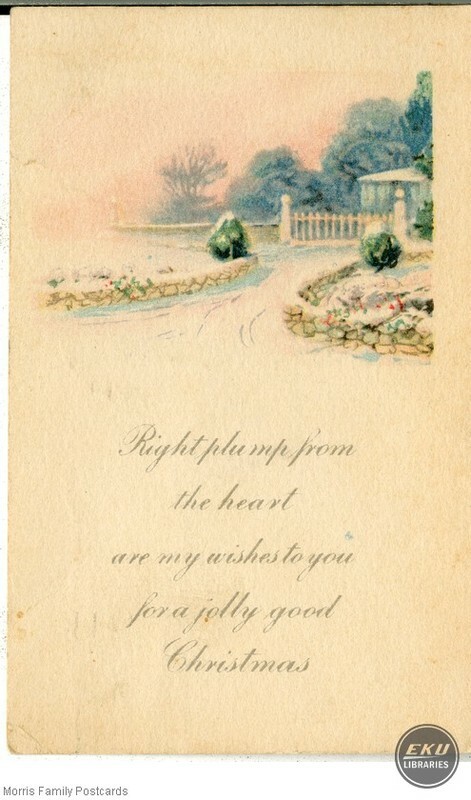 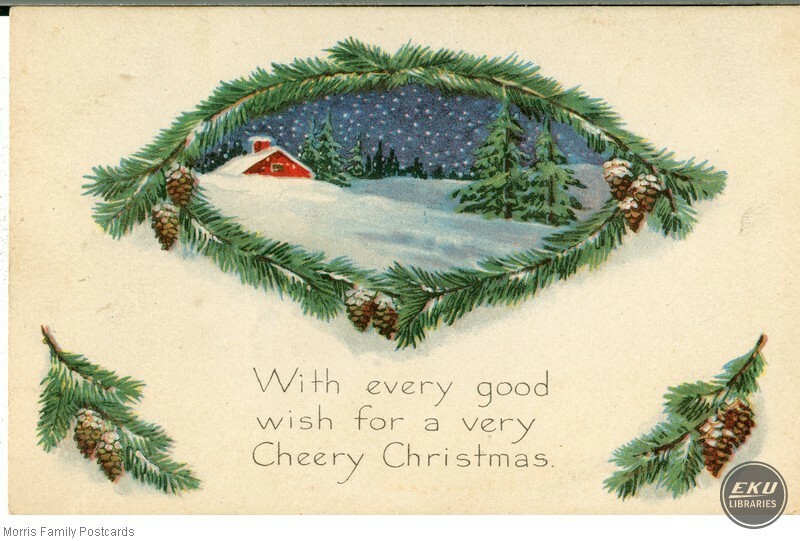 All but two of the cards in this collection are addressed to Mrs. Ola Morris, Beechwood, KY (Owen County). 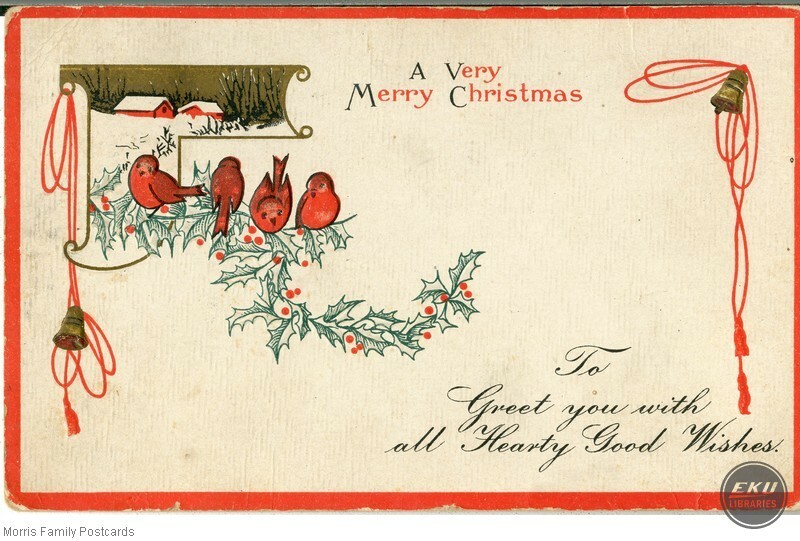 One is addressed to Mrs. Ida Wiley in Georgetown, KY (Scott County), and another to Miss Ola Wiley in Tacketts Mill (Owen County), KY. Ola Wiley Morris (1899-1972) was the daughter of Martin L. and Ida J. Wiley and married Arthur Morris. 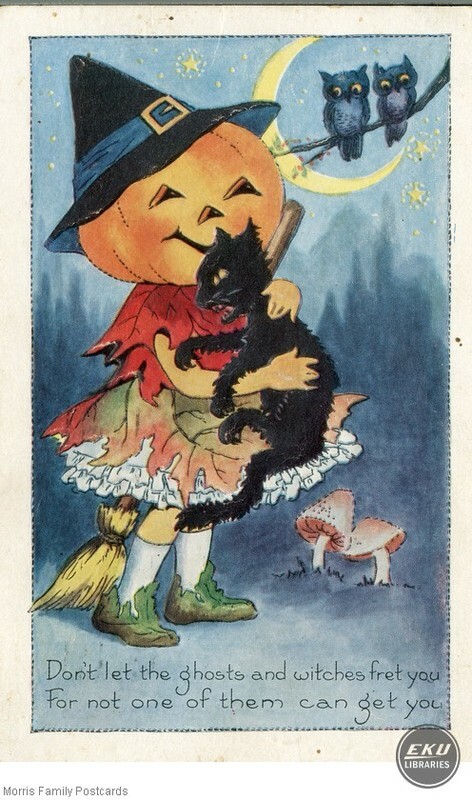 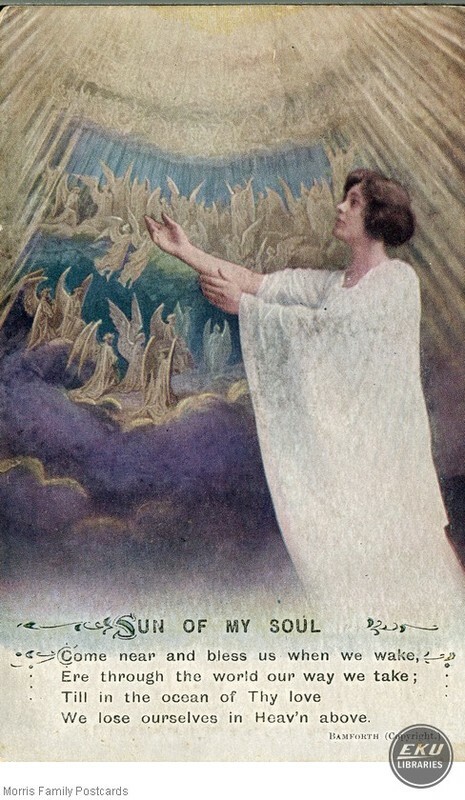 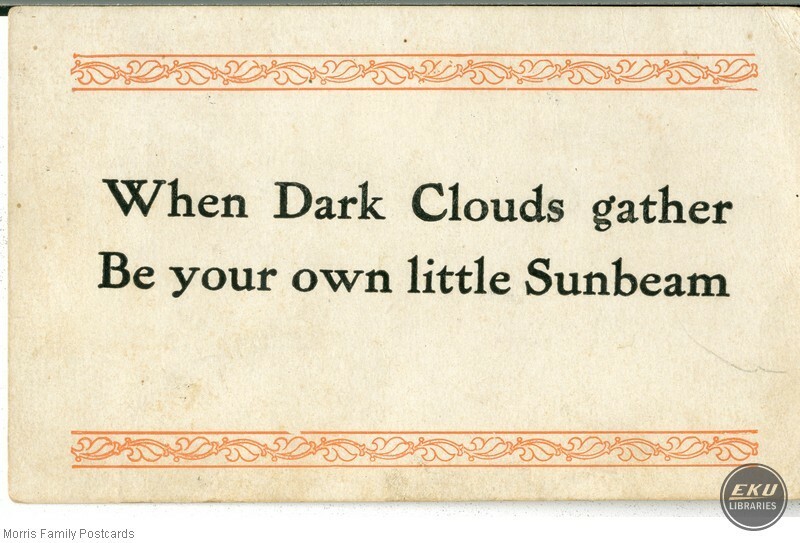 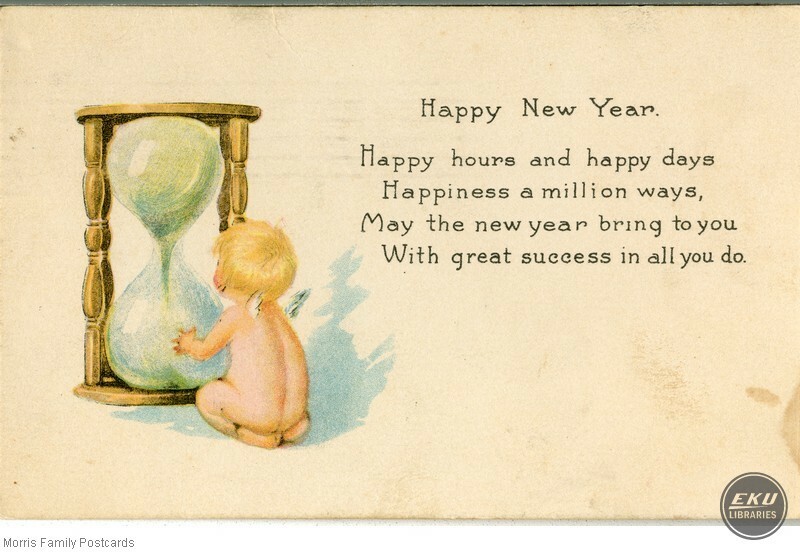 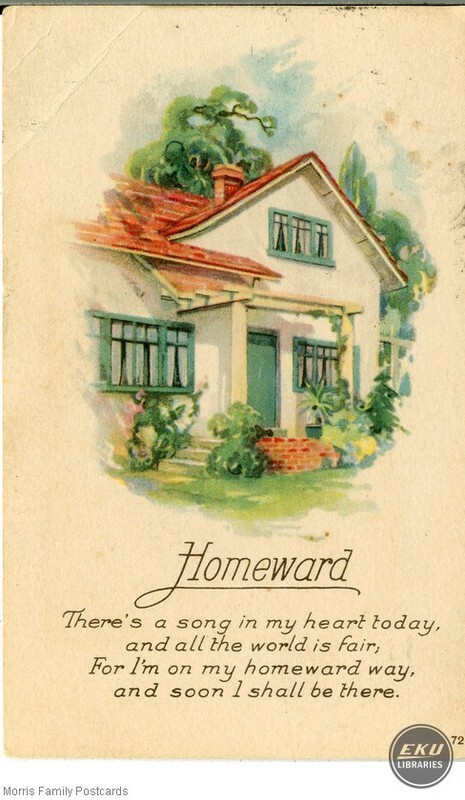 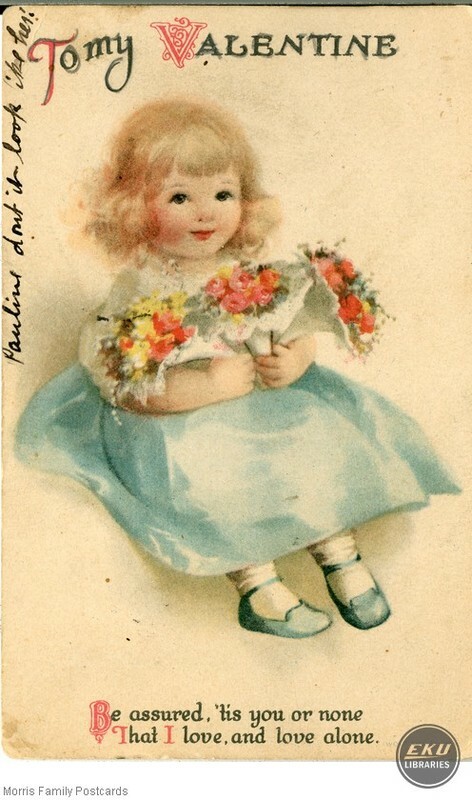 All of the postcards in this collection appear to be lithographed cards and most are greeting or inspirational cards. 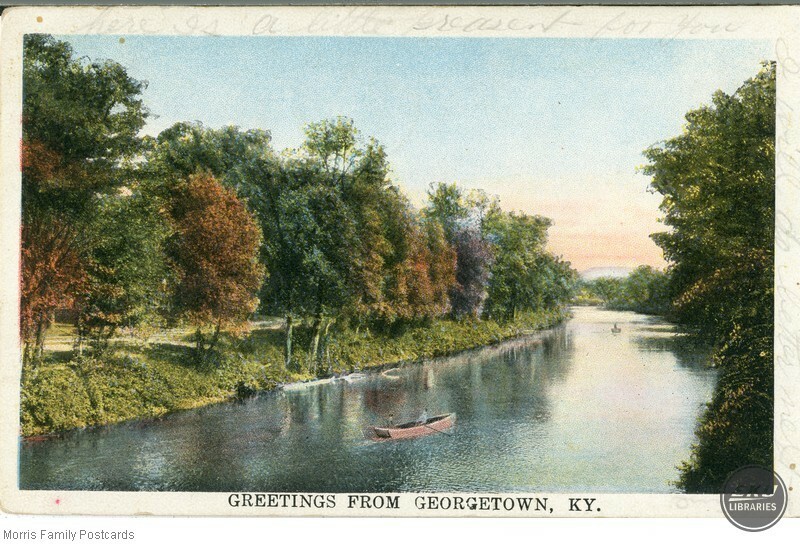 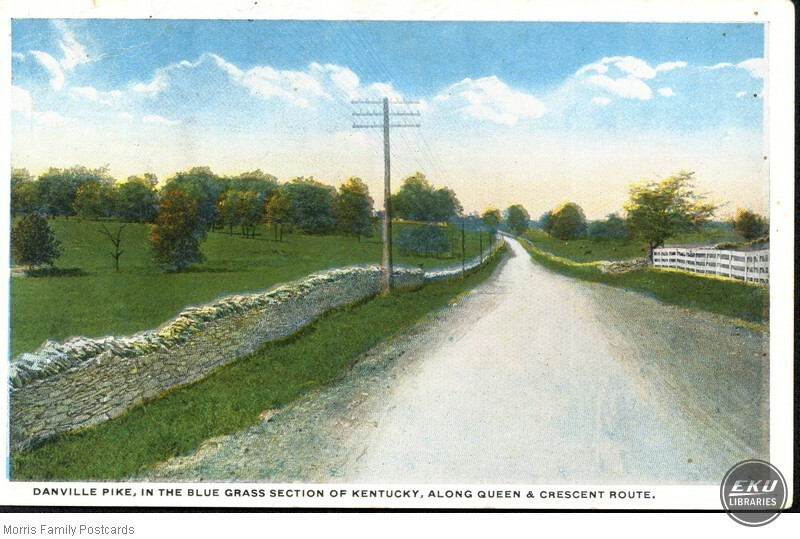 There are several cards depicting locations in Kentucky and North Carolina. 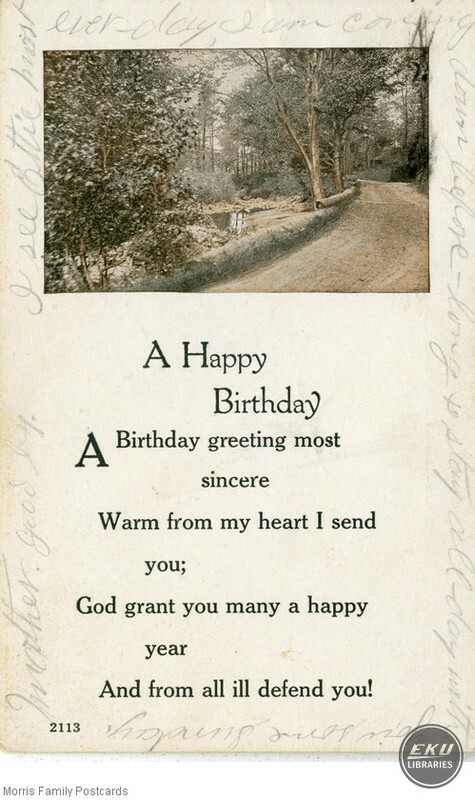 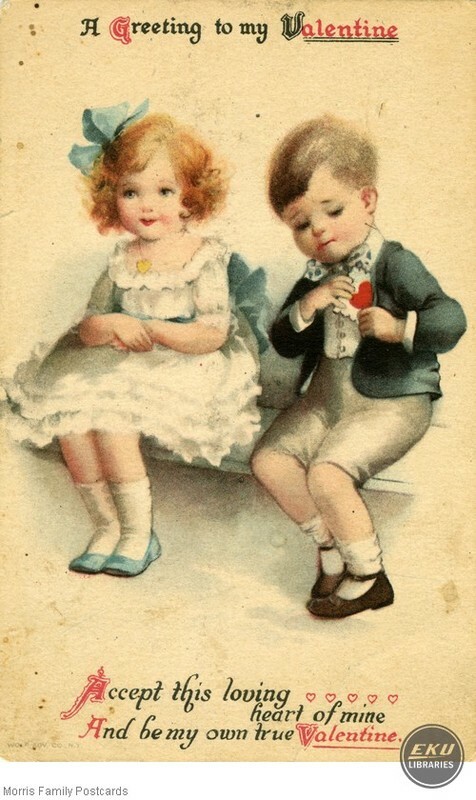 The cards contain family news and are typical, brief comments about such day to day activities and events as making plum preserves, cutting corn, cutting tobacco, river too high to cross on the ferry, "why don't you write," and how everyone is doing. 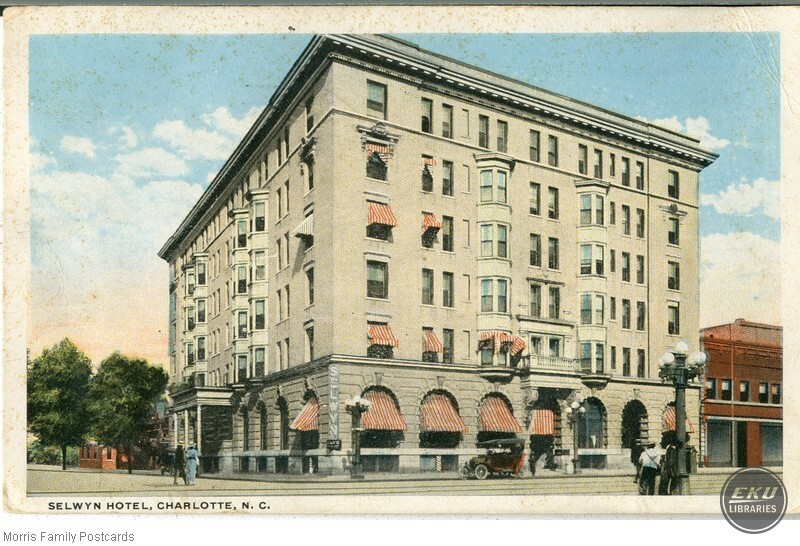 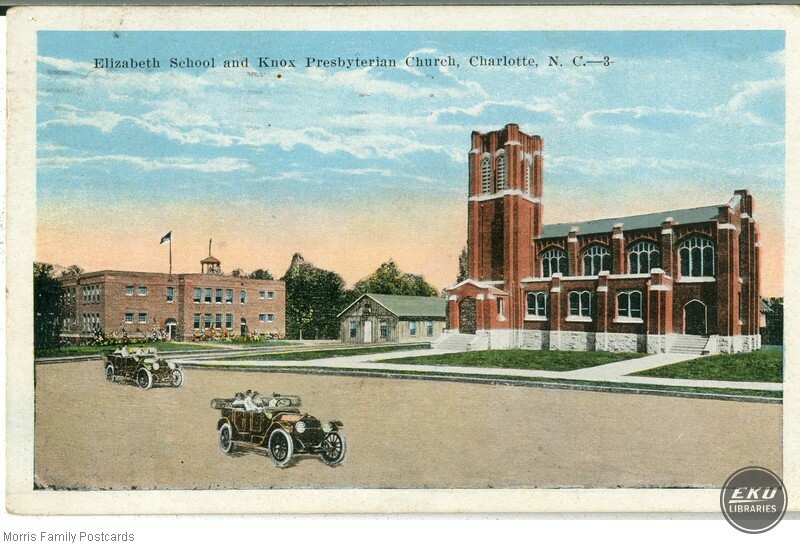 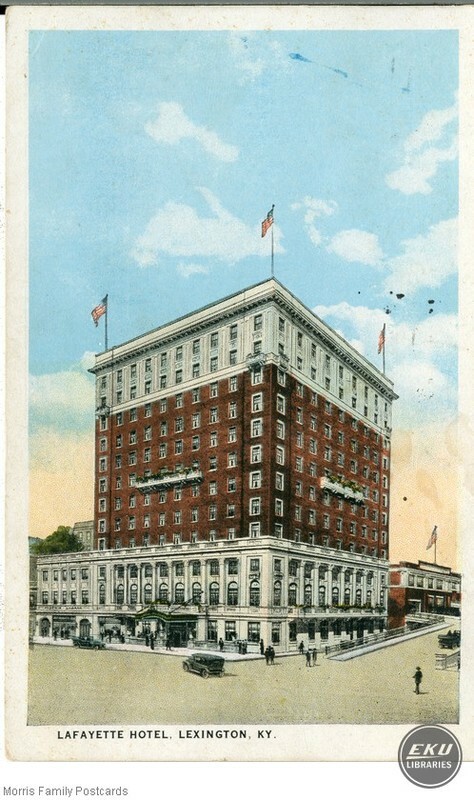 Selwyn Hotel in Charlotte, N.C.
Elizabeth School and Knox Presbyterian Church, Charlotte, N.C.